This review may appear late and therefore irrelevant, but Die Zauberflöte always gives me pause for nostalgic reflection and the deepest thought. Of course a music review should deal with a specific performance rather then the music itself. However in this magical, magisterial opera and its depiction of the 'moving toyshop of the heart', the music always transcends the performers in a twinkling of stars. I confess I did not have the psychological strength to write about it until now. This beautifully balanced, poised and innocent performance overwhelmed me with reminiscences from quite different periods of my life. Three surges of nostalgia broke over me forming waves of interference. The first wave I encountered of its magic symbolic interplay was as a very young man on an island in the South Pacific where I was living. Norfolk Island had been the place of the direst punishment during the system of convict transportation to Australia. Later it became the home of the descendants of the mutiny on the H.M.S. Bounty transferred there by Queen Victoria from Pitcairn Island. It is a place where under the constellations of heavens, present natural beauty and the ghosts of past cruelty play a haunting historic game of reflective interchange in the mind. The appearance of this invitation in your island mail was tantamount to a summons to court. It began one of my deepest friendships, which taught me a great deal about the way to value island isolation. Fitzroy Douglas had retired early in life to Norfolk Island from New Zealand. He was a large inventive Scot with a shock of white hair, living in a sprawling Pitcairner Colonial Georgian home called Drumminor, in an enormous sub-tropical garden. The house was completely hidden from the road by pines, whitewood and oaks. Frangipani scented the air and ferns grew in abundance, clinging to the trunks of trees and even to one another. The broad verandah leading to the cool dark interior was swathed in bougainvillaea, the bracts drooping, heavy with pink blossom nearly all year. French doors opened to a study rich in Isphahan carpets, camphor chests and gramophone equipment. Two Guy R. Fountain Autograph loudspeaker enclosures the size of small wardrobes occupied corners of the room. In summer a breeze would blow up the palm valley at the rear and through the cool, timber house, and the long net curtains to the bedroom would billow out on to the verandah. On opera nights it was best to arrive early with your chair and cushion, so you could get a good position midway along the verandah. Sherry or tea and biscuits were available if you arrived before the ‘curtain’. Most of the audience were English, and an intense colonial feeling was generated by their country-set accents as they discussed property values in East Sussex or Hove as they idly leafed through back copies of Country Life during the interval. Reviews of the recording we were about to hear lay casually about, and the title of the opera, with the main cast, conductor and orchestra were chalked up on a blackboard propped against a verandah post like the daily menu in a French bistro. Finally, the audience were asked to take their seats in two rows along the verandah, facing the garden, and a row of of green mosquito coils were lit and placed on shiny metal stands along the railing. The great speakers were hidden among the tropical shrubbery. The lethal coiled perfume settled over us, creating a curious intimacy. The lights dimmed and Fitzroy made a brief announcement. The mainly elderly audience began to nod off as the delightfulness, solemnity and occasional severity of the overture gathered its weight, transforming the garden into a natural Masonic temple. This tropical paradise would become the theatre of the battle between good and evil that would be played out before us. We listened to this struggle of the spirit of mankind, the eternal conflict of masculine and feminine principles, rising mysteriously from the depths of the plantation under the stars of the Southern Cross. Night drew in, and the coils became glowing points issuing smoke. 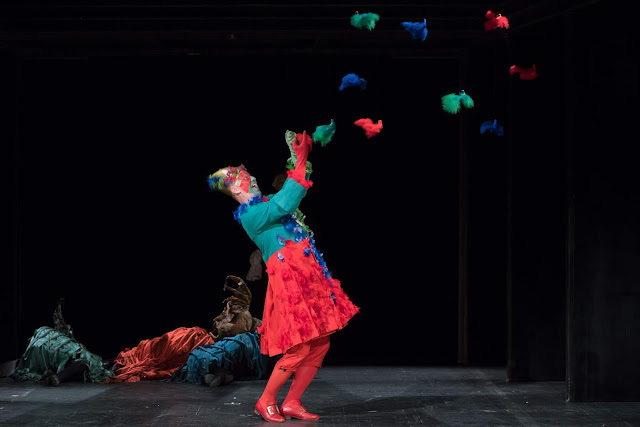 While Papageno, the birdcatcher, the child of Nature, was playing on his bells, real parrots flashed through this arcadian grove with hurried wingbeats. Their harsh calls faded in passing adding further charm to the fairy-tale enchantment of the opera. During these night performances, one also became aware of the suffering imprinted on the air. Numberless tragic destinies had been agonisingly played out in the convict prisons of this paradise. Clouds scudded across the moon during the astoundingly malevolent aria sung by the Queen of the Night, a perfect expression of the blind evil passions that had become the engine of damnation for the hunters and the hunted alike on what was known in former days of criminal punishment as the Isle of Death. 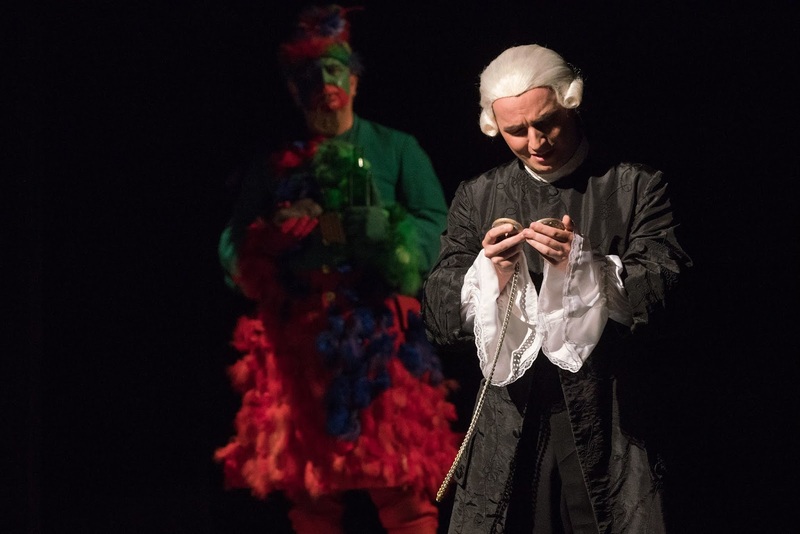 "You must have a strong objection then to The Magic Flute of Mozart?" The third wave broke over me as I remembered Warszawska Opera Kameralna during the Second Mozart Festival in Warsaw in July 1992. I was quite carried away then by the astonishing feat of mounting all 22 stage works of Mozart. 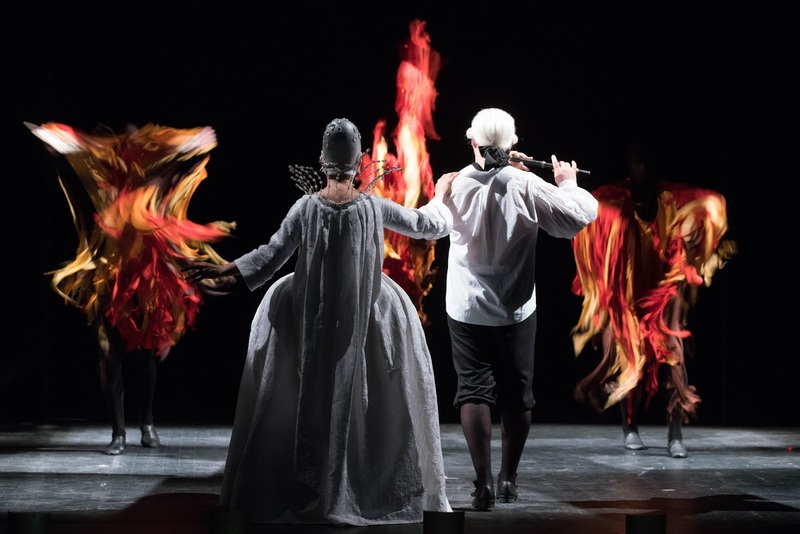 This recent production was similar with Ryszard Peryt's direction and staging and set design by Andrzej Sadowski. However there were some remarkably creative additions to the past which added to the luminous atmosphere of childish innocence that pervaded the production. 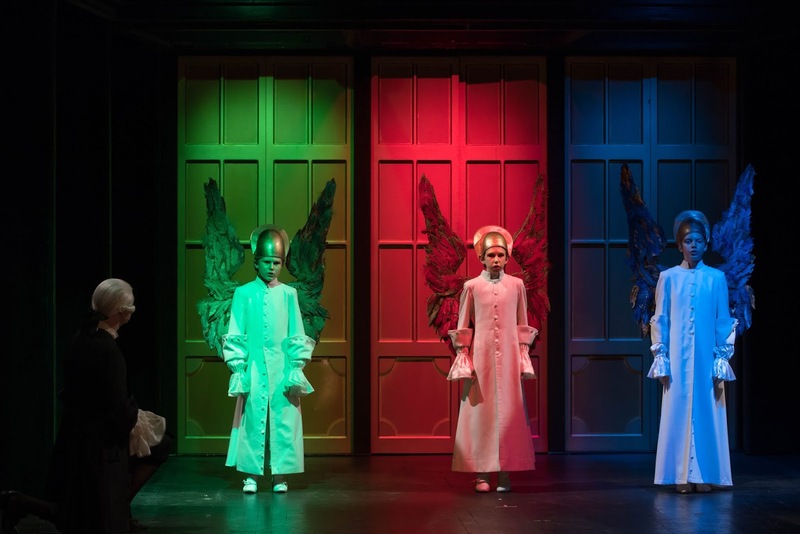 The actual use of the fragile voices of a trio of young boys costumed as cherubim (soloists from the Warsaw Boys' Choir at the Fryderyk Chopin Academy of Music) gave an augmented atmosphere of pervasive innocence, even religiosity, that could scarcely be brought to the opera by adult singers. The infectious humour of the Three Ladies (Sylwia Krzysiek, Ewa Puchalska and Malgorzata Kustosik) was retained and utterly charming. 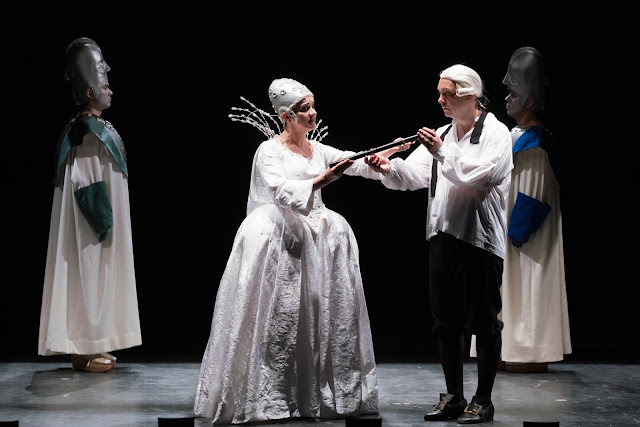 Monastatos (the tenor Slawomir Naborczyk) was suitably dastardly, unpleasant and threatening especially before the sleeping Pamina (the charming and yearning soprano Anna Mikolajczyk). 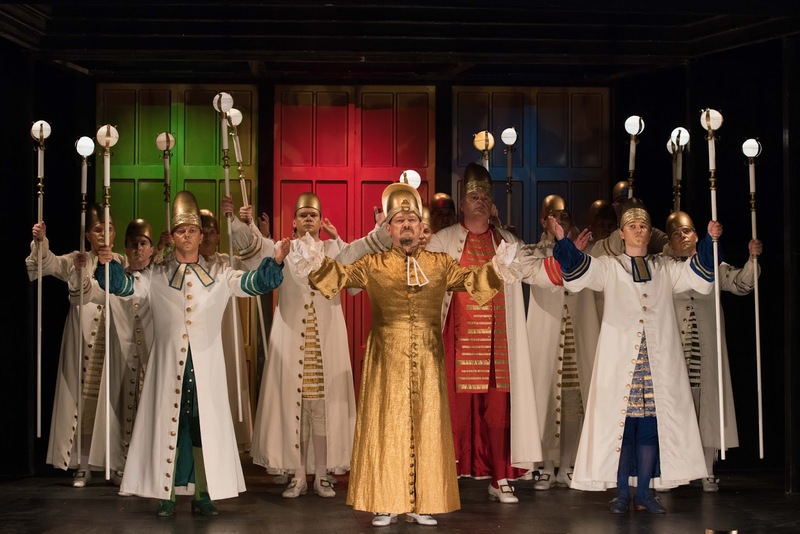 The March of the Priests and Sarastro's invocation (the role consistently nobly sung by the powerful and formidable Ukrainian Bass Aleksander Teliga) were finely brought off. Prince Tamino was played by the lyric tenor Aleksander Kunach who successfully sings and acts just the type of man who might fall in love with a mere portrait (Dies Bildnis ist bezaubernd schön) and yet courageously survive cruel trials - a mixture of fortitude and romantic weakness. 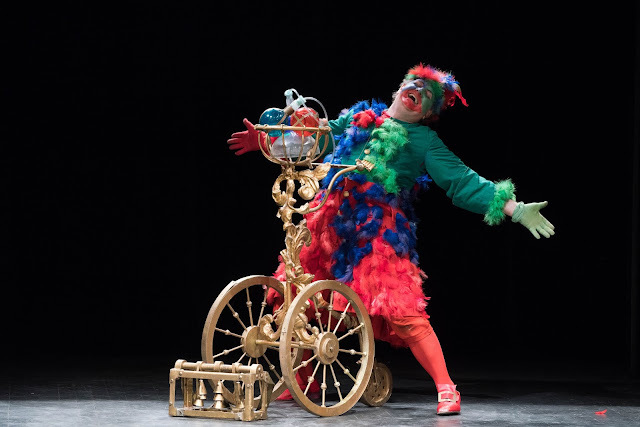 His foil Papageno I feel to be a fantasy figure from a children's fairy tale, a portrayal of the spirit in some ways of the male opportunist in human nature. His first appearance is in a fabulously ornate costume with a painted face. Coloured feathered birds suspended on elastic strings drop from the fly loft and bob about affectingly. The sentimental eighteenth century simplicity of this stage craft never fails to move me quite unaccountably. Modern feminists give Papageno rather a rough ride but may be missing the naivete of this simple character, the dream character of the opera. In fact he surely represents, with some degree of irony, the naive ideas, thoughts and reactions embraced by many men faced with the disarming reality of a seductive woman. 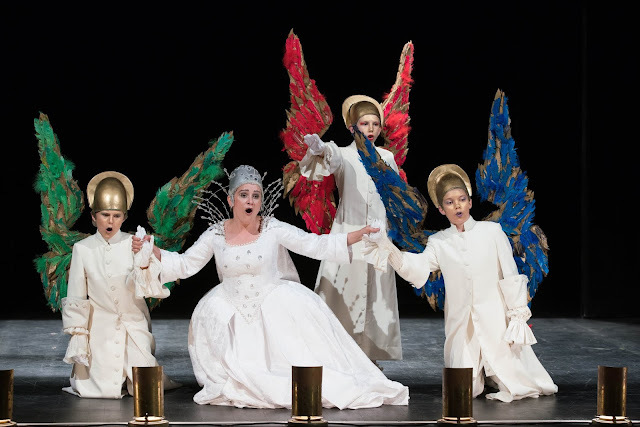 The transmutation of Papagena and the duet "Pa–, pa–, pa–"sung with Papageno, revealed the soprano Olga Siemenczuk as quite theatrically gifted in this humorous 'aria'. The whole notion is a reversal of the normal magic realist fairy-tale of the toad transformed into a prince by a kiss. 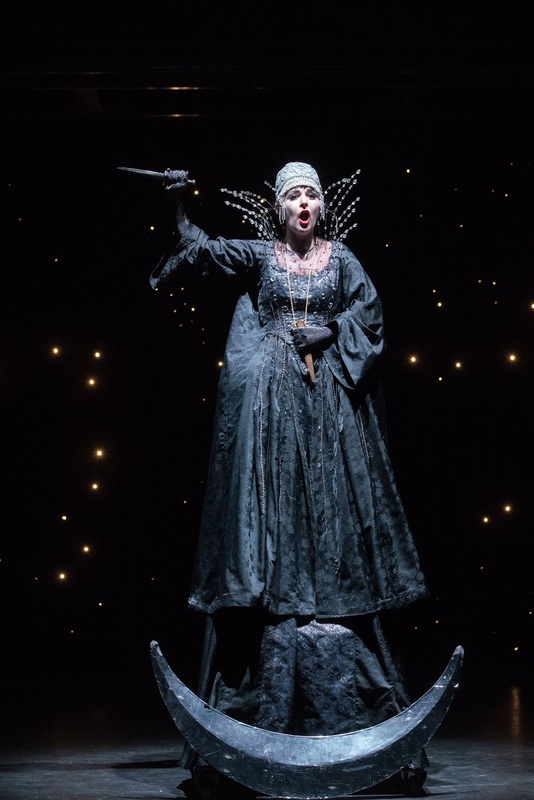 I found the Queen of the Night, the extraordinarily agile soprano Joanna Moskowicz ,showed moving purity of intonation and was effortlessly comfortable in the high tessitura of that great showpiece of the opera covering two octaves in range Der Hölle Rache kocht in meinem Herzen - Hell's vengeance boils in my heart. The dual nature of this malevolent figure, the soul with the face of Janus, was always clear. Protected by the music of the magic flute, Tamino and Pamina pass unscathed through chambers of fire. 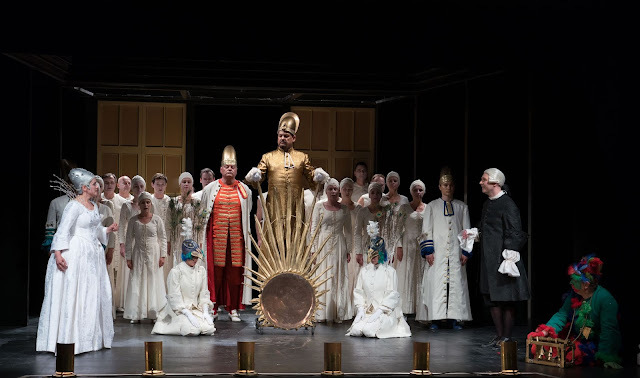 The Vocal Ensemble of the Warsaw Chamber Opera (Chorus master Krzysztof Kusiel-Moroz) gave the strong male and female support they customarily provide contributing discreetly to the Masonic philosophical commentary on the action that pervades the work. The Musicae Antiquae Collegium Varsoviense under their conductor Marcin Sompolinski I felt gave a particularly eloquent account of this musical score on period instruments, the music so replete with the genius of Mozart, his ability to take us to profound depths and lyrical heights with the simplest of musical and instrumental means. The balance of seductive woodwind with the darker threats of the brass was skillfully accomplished. I was particularly taken by the glorious tone of the keyboard glockenspiel ( Mozart's strumento d’acciaio) or was it a celesta to represent Papageno's bells - yes, whatever, quite 'heavenly'. 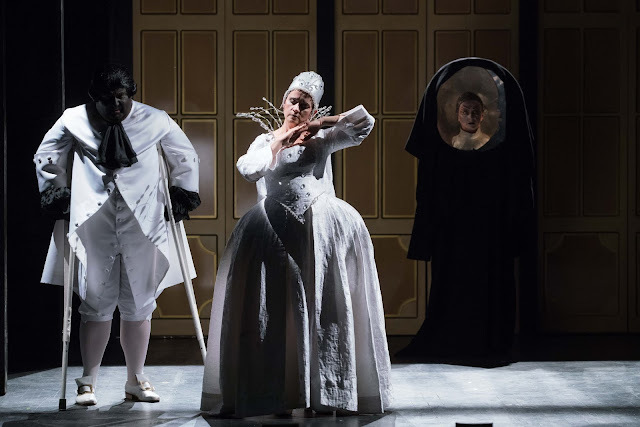 As indicated at the beginning of this review, a work such as Die Zauberflöte transcends its performance, a work 'at once childlike and godlike'. In its humanist ideals it portrays the struggles and ultimate triumphs of human nature. This evening for me was one of pure childish innocent delight, entertainment, courage, humour, thoughtfulness and metaphysical speculation of a not too serious kind. And it also brought into unexpected sharper focus my past in a welcome manner, nostalgically telescoping my own reversals and successes into the present with great feeling and meaning. 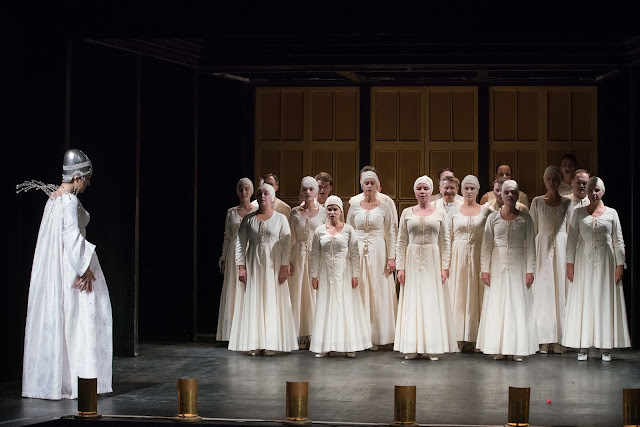 Even if the company is not at the absolute apex of operatic performance, what more can one ask of an evening being given enormous pleasure as a modest member of the audience. The cast and orchestra were given a long and deserved standing ovation. The contemporary company of the Warszawska Opera Kameralna have achieved great things in the challenge they are facing to continue a great Polish artistic musical tradition with perseverance in the face of significant but clearly not insurmountable obstacles.